These ribbon hair ties are amazing! Check ’em out below + subscribe now for future finds in your inbox. Okay, guys, listen up! Emma here and it is confession time: I’m a classic ponytail over-doer. Sometimes I even wear ponytails, top knots, and chignons to bed. I’m so used to the feeling of my hair being in a bun that I don’t even notice sleeping with it. Yeah, it’s gotten pretty out of hand. I’m guilty of being that girl who barely ever wears her hair down because I’m too busy. (Yeah, I know, we’re ALL busy!) Truthfully, if I *really* had extra time to dedicate to blow-drying, straightening, and styling my tresses, I still wouldn’t. I’d play another round of Mouse Trap with the kids or play with our pup outside or watch another tv show. See, I’d be missing out on way more fun things I’d rather do. So I don’t style my hair much, unless it is a special occasion. This is generally the point in one’s story where a big declaration of change occurs. One might exclaim, “Oh, I’m going to try harder and do my hair every morning and blah blah blah“. But I’m not. Let’s be totally honest here: I know me, and I like me. And I know I’m not changing my ponytail-wearing ways anytime soon. I don’t get rid of something I enjoy; I simply add to it! 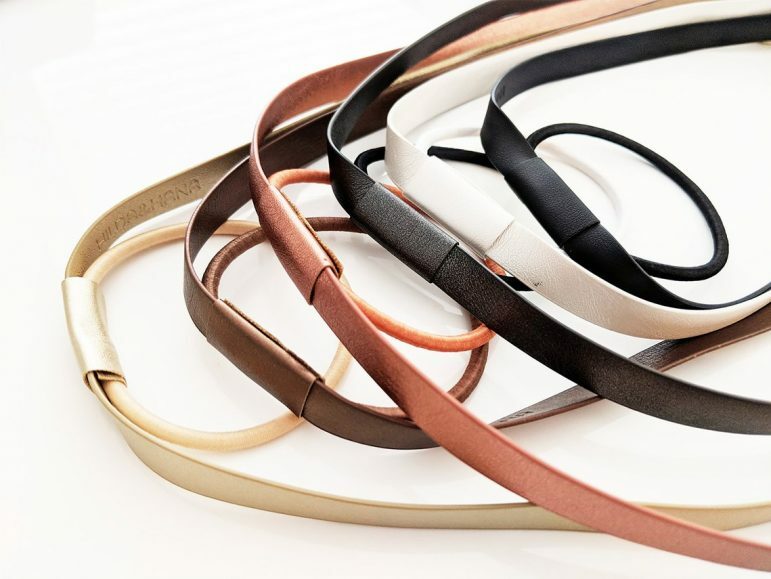 And today I’m adding these leather ribbon hair ties to my makeup bag of must-haves. 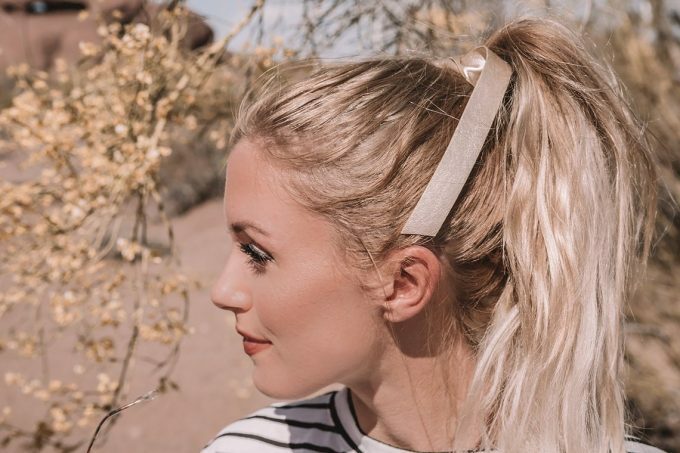 These ribbon hair ties by Etsy artist KUULYS are AMAZING at making your ponytail look pulled-together, chic, and superbly styled. I’m hooked. And you will be, too, once you get a glimpse of how brilliant they are. You might even get to win a set for FREE in our latest wedding giveaway! 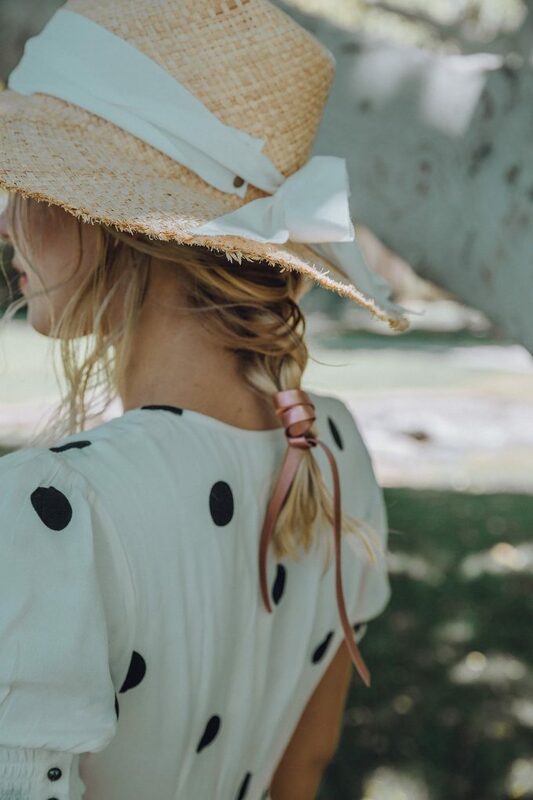 That’s right: we’re giving away ribbon hair ties to one lucky reader! *throws confetti* Now you can rock your lazy ponytail like me and look cute doing it. Read on for more! 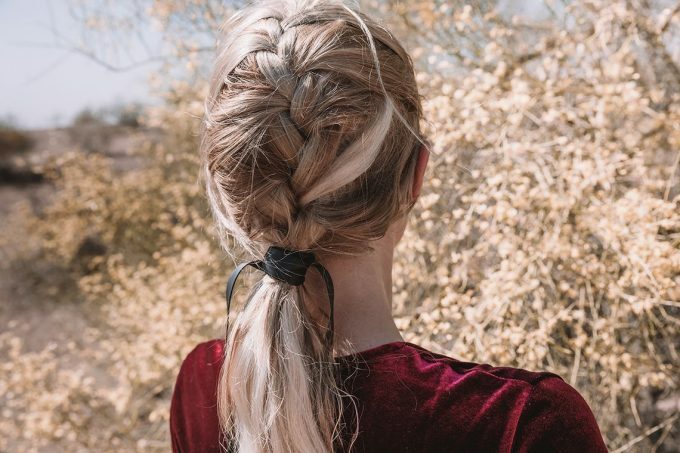 Whether adding a bow to a braid or a pretty ribbon to a ponytail, these ribbon hair ties make it super easy. 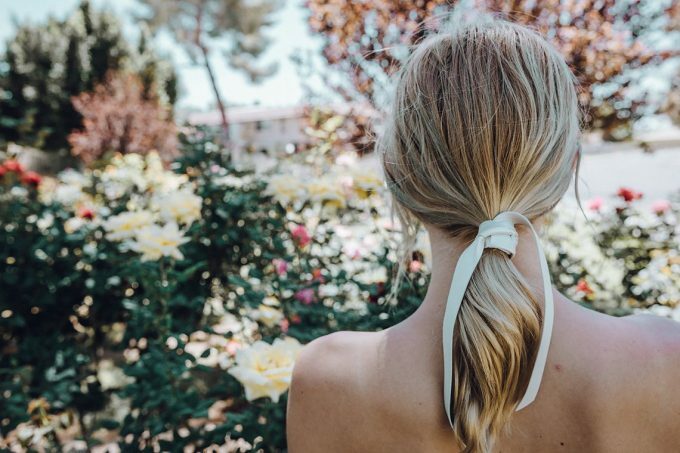 On each hair tie, made of thick elastic, you’ll find a durable vegan leather “ribbon”, long enough to tie around your ponytail in a bow. And it looks chic, stylish, and surprisingly pulled together. There are two thicknesses available: skinny, for smaller bows, and thick for bolder bows. I wear both. And love ’em. Here are examples of how they’re worn. These leather ribbon hair ties are only around $6 each so they make a great stocking stuffer, bridesmaid gift addition, etc. I love these as a part of the bachelorette party accessories or as party favors. Want to win a trio of ribbon hair ties? Now’s your chance! I really love the Scratch Your Travels® United States Of America Map (USA US) Watercolor Art Poster. I think the scratch-off world map is a wonderful present idea!!! I love the world map scratch off boards! I love the Scratch Your Travels Europe Region Map! It’s nice to have a scratch map where the countries aren’t all microscopic! I love the skinny copper hair tie! I love the Just Married Imprint Honeymoon flip flops! I want the bronze/brown tie! These are a great find! Obsessed with the shimmer brown color! As a ponytail queen, these are such a great find!! Katie, I love that color, too! Nice choice, from one ponytail queen to another. :) Good luck!